Most Americans prefer to enter the new year with resolutions for personal improvement. However, for President Donald Trump, his government shutdown is breaking all the wrong records in 2019. Starting on December 22, the second shutdown of 2018 has already surpassed 25 days, setting a United States record for the longest government shutdown in history. It began due to a disagreement between The United States Congress and The President. Both Congress and Trump could not negotiate a compromise to the President’s demand for $5.6 billion in federal funding. This funding would be used to secure a wall on the US-Mexico border. While many Americans’ lives are seemingly unaffected by the shutdown, there’s no doubt it is creating a huge disruption among the nation. 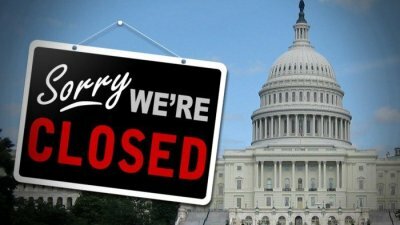 Partial government shutdown closes many federal locations/government activities and furloughs thousands of federal workers. Currently, nine executive departments are suffering a lapse in funding, resulting in over 800,000 government employees either working without a paycheck or not working at all. The shutdown has also triggered something called “Blue Flu”, where countless Transportation Security Administration (TSA) workers call in “sick” to avoid unpaid work. One man traveling from Atlanta to Tokyo was even able to get a gun completely through airport security and onto his flight. After a passenger alerted officials, TSA claimed it had nothing to do with the “Blue Flu”, but, it does seem to be a striking coincidence in the midst of the understaffed chaos caused by the shutdown. However it’s not only our security that’s being compromised by this shutdown; it’s our health, sanitation, and well-being. The Food and Drug Administration (FDA) has had to suspend nearly all of their food inspectors. This means that the safety and regulation of food and medication are compromised and not guaranteed. Safety is one of the biggest concerns in The United States, ironically, this government shutdown has put the well-being of the entire nation at extreme risk. Even the FBI, the core of American national security, is in jeopardy with a drastic 5,000 staffers furloughed. While these national safety concerns may be temporary, National Parks have suffered irreversible damage. Due to the lack of the federal protection of park rangers, the parks have experienced immense vandalism, unregulated littering, and, disgusting enough as it is, human defecation. One of the largest acts of destruction was the illegal demolition of the famous trees in California’s Joshua Tree National Park. Where there once was an abundance of these sacred trees, now lies nothing but meaningless stumps. A national treasure, never to be seen again by this generation… all to fulfill a campaign promise? As progress with resolving the issue seems stagnant, Americans nationwide are becoming more and more restless. Nationwide, affected workers have been staging union-led protests and filing lawsuits demanding compensation for missed paychecks. Federal employees have a crucial role in regulating our nation, however, the unfair conditions of the government shutdown portray them as pawns in Trump’s grand scheme to override Congress and get his wall. After all the pain and disruption that The President’s shutdown has caused, it is clear that these hardships are not worth any possible security that the wall could provide.